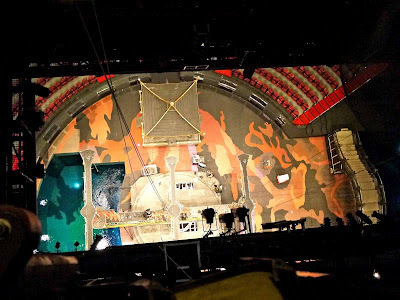 Our final day began with a visit to the set of the House of Dancing Water show that we had enjoyed the previous night. 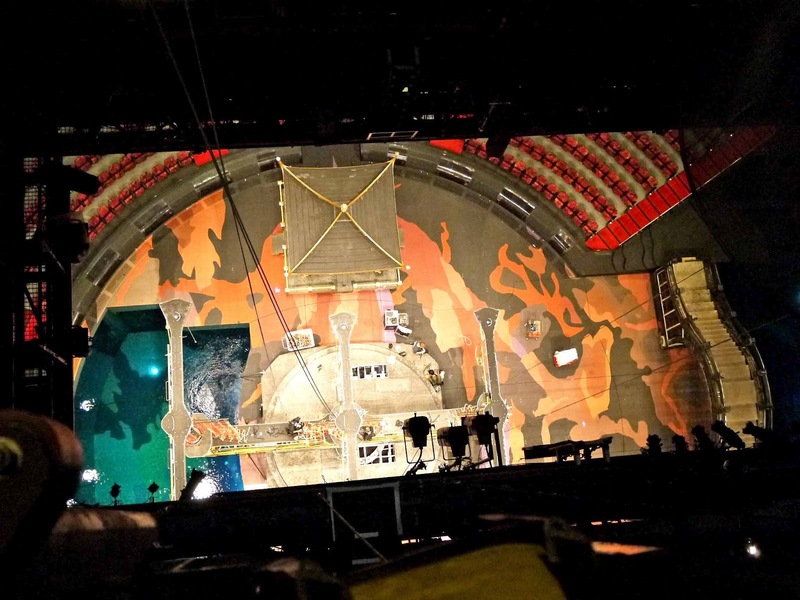 We were accorded the rare privilege of a conducted tour of the special theatre and the various props and equipment. We were able to do that because Tuesday was a rest day for the performers. Our next stop was the St Francis Xavier Church in Coloane. This was the first time we had a chance to see the more rustic side of Macau. I took the opportunity to take some photos of Zhuhai in Mainland China just across the waters from this village. After that we did a bit of shopping at the Lord Stow Bakery which was famous for their delicious egg tarts. Can you see the wind farm on the mountain top? 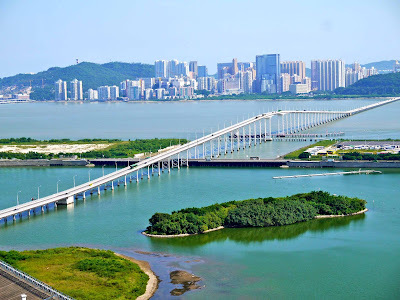 This is Zhuhai, China. Mission accomplished! Our bus is now heavier by several kilos of egg tarts. Lunch was at the cosy O’Manuel Portuguese Restaurant where we were treated to a variety of delicious Portuguese dishes. Thanks to the Macau Government Tourist Office for the lunch treat. Our final stop was the Taipa Houses Museum and the nearby Taipa Food Street at the Taipa Village. Here we had the opportunity to savour Macau’s famous Bird Nest Tarts and Pork Chop Buns. At the Taipa Houses Museum, I was pleasantly surprised to see many household items that I had used in my childhood days; such as the charcoal tongs, charcoal iron, mosquito net and oil lamp. 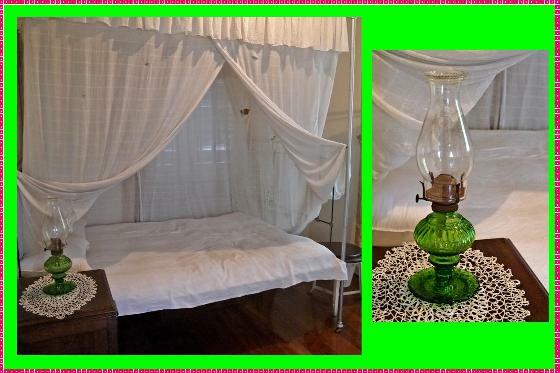 Now I have more photos of the kampong days to share with readers. Finally, it was time to board the bus to bring us to the airport where we bid goodbye to Macau. The sight of this Tiger Airways plane brought to mind words from a famous John Denver song; “I’m leaving on a jet plane. Don’t know when I’ll be back again. Oh babe, I hate to go”. In all, I had a very enjoyable four-day vacation in Macau. Initially, I was a bit hesitant to take up the offer to come for this trip. For one, I was afraid that I might have to refuse any invitation to enter a casino. I also feared that I would feel out of place with a group of youngsters. But as it turned out; they were such a swell bunch of people to hang out with. Once again, I thank our sponsors, Omy.sg, Macau Government Tourist Office, and Tiger Airways for sponsoring this trip; as well as the various organisations for hosting our visits. Day 3 turned out to be the most activity-packed day of our trip. 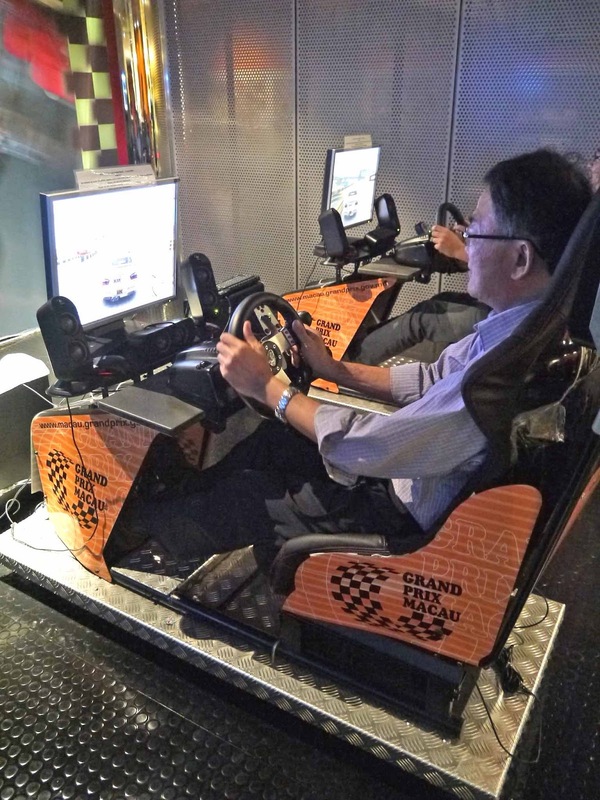 It began sedately with a visit to the Macau Wine Museum and Grand Prix Museum located just a stone’s throw from our hotel; and climaxed with the most spectacular show I have ever seen. Even though I am a teetotaller, I found the tour of the Wine Museum quite interesting; especially the exhibits of the ancient equipment used to grow, harvest, produce, transport and store the wines. The Grand Prix section was a little more interesting. We could cosy up to these magnificent racing machines, which were actually donated to the museum by drivers who had competed in the Grand Prix. Here, I even got to go for a ‘spin’ on the simulator ….. and managed to crash twice. By the way, did you know that in one year, the winner of the Macau Grand Prix was a Singaporean? I’ll leave it to you to figure out who that was. Our next stop was the MGM Macau where we toured their grand facilities. The highlight was a visit to the Butterfly Pavilion. Our guide, Dr Walter Wu, patiently explained about the butterflies – which apparently were all from Brazil - and their habitats. I was quite fascinated to note that many of the flowers in the pavilion were commonly found in Singapore. In fact, we have some of them in our garden at home; e.g. the Bachelor’s Button, Bougainvillea, Periwinkle and Ixora. Lunch was at the Sky21 where we enjoyed a wide choice of Asian cuisine while soaking in the panoramic view of the Macau waterfront. 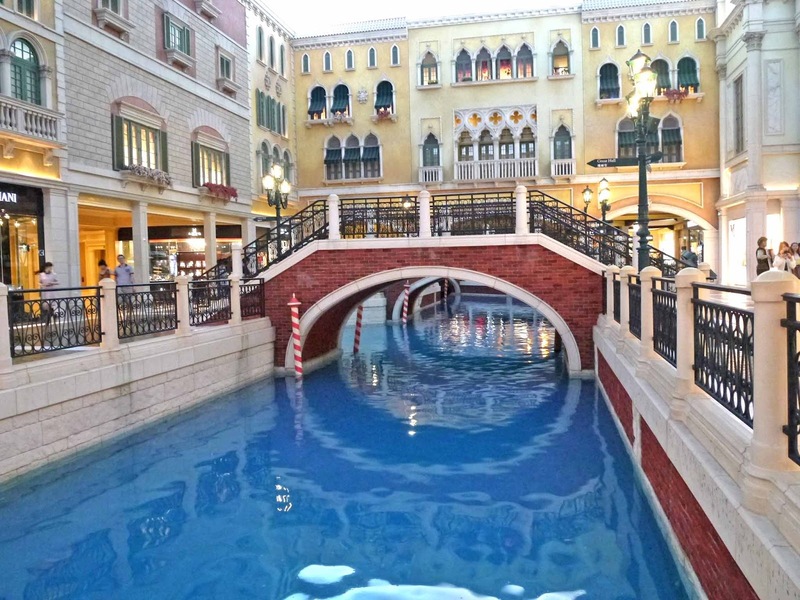 After a round of photos from the outdoor courtyard, we proceeded to the sprawling integrated resort known as Venetian Macau. Owing to time limitation, we only saw a segment of the complex, ending our tour with a visit to Ice World where we got to monkey around like primary school kids. 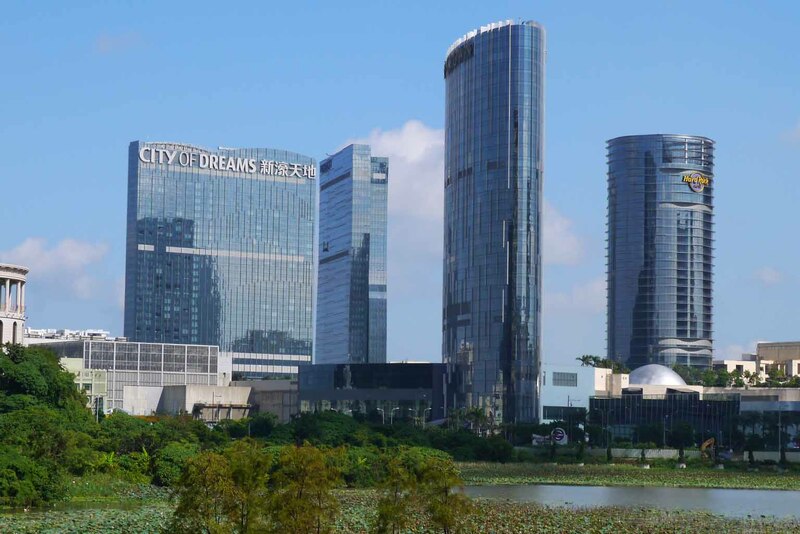 Our final destination was the City of Dreams where we were treated to a luxurious Chinese dinner at the newly opened Jade Dragon followed by a spectacular show, Dancing on Waters. At Jade, we were served a selection of their finest Cantonese cuisines; but alas, as we were running behind schedule, we had to rush through the last few dishes at breakneck speed. Our gracious host kept apologising; when it was really we who should be doing so; not giving their painstakingly prepared dishes their due attention. The best part of the day, and of the whole trip in fact, was the Dancing on Waters Show. I do not have the vocabulary to do justice to this spectacular show; but fortunately, our hosts from Omy.sg, Rui Long and Jack have produced a short video clip so you can get a sample of the show that everyone of us so enjoyed that evening. You can also check out my friend Jerome Lim’s detail post of this show and view his many beautiful photos here. Would you dare to jump down - I mean actually jump, not bungy-jump - from this height into the pool below? In my previous post, I mentioned that, on Day 2 afternoon, I explored the area around my hotel after a rest from the morning’s Amazing Race event. One of the places that I popped into was a neighbourhood supermarket. There I quickly accomplished one of the ‘unpleasant chores’ for my trip …. shopping. I never liked to shop during my overseas trips. In fact, I never liked to shop at home either. Still, a man’s got to do what a man’s got to do - bring back some evidence that he has been to Macau. Anyway, other than the famed almond biscuits of Macau, I did not have anything in mind. So I randomly picked up a few boxes of foodstuff; including a box of moon cakes, peanut cookies, wife’s biscuit (老婆饼) and even two of packets of noodles. I had had a bowl of noodles for lunch in a nearby café, and found the local noodles quite nice. My main consideration in deciding what to purchase, was the packaging. It had to be sturdy and able to withstand the trip back to Singapore. After I got back to my hotel room, I snapped a photo of purchases and happily announced to my team mates via WhatsApp that I had completed my shopping ‘duties’ for this trip. One of my purchases was this box of Egg Roll with Seaweed and Shredded Pork. It came in a sealed metal container. The name was rather interesting. It was something not found in Singapore – at least I have never seen it. And I liked the box. And so I added it to my purchases. The packaging can only be described as ‘kiasu’ (over careful). After removing the top cover, there was another round lid. Inside, the egg rolls are packed in sealed plastic trays. That, I suppose was to guarantee the freshness of the product. As for the price, I am afraid I cannot recall. Maybe HK$20+ or HK$30+ per box. As there were no images of the actual product, I did not know what to expect. I thought it would be like the love letters that we consumed at Chinese New Year. When I finally got around to eating it the other day, I had a pleasant surprise. It tasted wonderful. It is not as brittle as the love letter, but thicker and has a bit of butter taste. The inside is not hollow. Instead, it is stuffed with fluffy pork floss. Combined with the slice of seaweed, the taste was really fantastic. Man; I wish I had bought a few more boxes. If I ever decide to visit Macau again, this Egg Roll with Seaweed and Shredded Pork would be one of the reasons! Hahaa …. I exaggerate of course. If anyone knows where one can buy this product in Singapore, please alert me. Thanks. Our itinerary for Day 2 was quite simple. In the morning, we had a mini Amazing Race and the rest of the day was “free-and-easy”. The Amazing Race was held at the busy historic district around Senado Square where the famous Ruins of St Paul’s was located. I must confess that had they not partnered me with an IT-savvy young man, I would have been totally lost. Besides locating the checkpoints based on some obscure clues, we had to take a photo of one of us at some of these checkpoints and post them to the Surprising Moments in Macau Instagram website. I didn’t even know how to use Instagram! Anyway, my partner Sau Jun helped me to set up an Instagram account and today, I am hooked. You can view a video of us 'in action' here. In front of the famous St Dominic’s Church which was built in 1587. 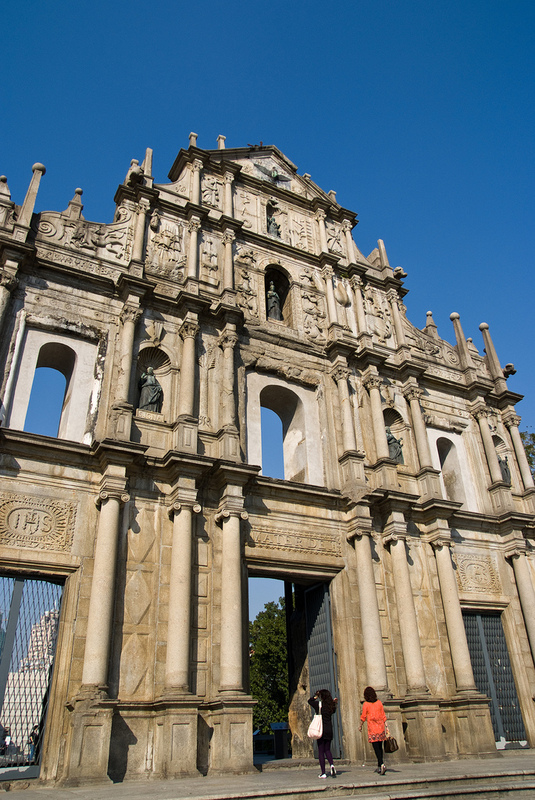 No visit to Macau is complete without a photo shoot at the Ruins of St Pauls. A surprising moment indeed; durians on sale in Macau! When the Amazing Race ended at around noon, most of my young friends decided to stay on for shopping, makan and a visit to the Michael Jackson Museum. 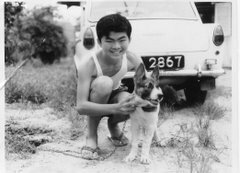 Do check out their stories at the Surprising Moments in Macau website. As for me, I wisely decided that this was too much for a 60-year old and returned to the hotel to recover from the merciless summer sun. I only came out again in the late afternoon to explore the area around my hotel – on my own. Here are some photos of the interesting places that I saw that afternoon. The first two are of the Legend Wharf which features a collection of European and Latin style architectures. The next two are of the Dynasty Wharf which is a replica of the Tang Dynasty architectures. Reminds me of our own Tang Village in Jurong. It was closed on that day. From this ferry terminal, fast boats and helicopters depart for Hong Kong. Walking was safe and comfortable thanks to long stretches of such air-conditioned pedestrian bridges. Next to the Ferry Terminal is the Macau Reservoir. It reminded me of our very own Marina Bay. Convenient jogging and cycling paths are provided. Plenty of benches and exercise equipment. The sight of many Philippino and Indonesian maids busily chatting on the mobile phones was another similarity with Singapore. During my recent 4D/3N trip to Macau, I took a few hundred photos with the Panasonic Lumix DMC-GF5 camera kindly provided (on loan) by our sponsors. My favourite photo is this one of a night scene of the Ponte De Sai Van or Sai Van Bridge, one of 3 bridges linking Macau to Taipa Island. 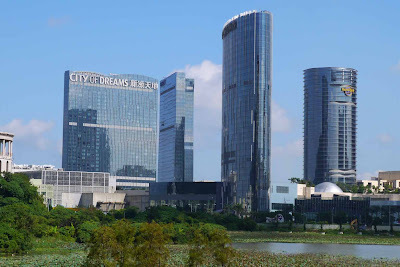 It was taken from the waterfront at the outdoor plaza of the famous Macau Tower. We were there to enjoy the beautiful fireworks display by teams from Korea and Thailand, two of the 10 countries taking part in the 24th Macau International Fireworks Display Contest. This was one of the highlights of our itinerary. Although we have our own fireworks display here, in Singapore, every year during the National Day celebrations, I have never seen one live, for the simple reason that I did not want to jostle with the crowds. However, on this occasion, our delegation was accorded VIP treatment by the organisers. We were given "the best seats in the house" in a fenced off area just next to the judges' table. Even the Chief Operating Officer of Macau Tower, Mr Rutger Verschuren, came out to bid us a special welcome. Here are two photos of the Macau Tower by night. The 2nd photo shows a courageous guy who had just bungy-jumped from the top of the tower. Earlier, our team was given a tour of this tower and hosted to a sumptuous buffet dinner at the 360° Cafe at the top of the Tower. 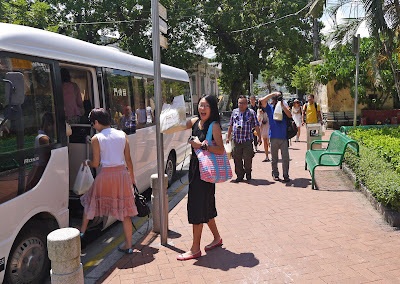 We were briefed on the array of activities visitors could enjoy such as the Bungy-jumping, Skywalk X and Mast Climb. We also enjoyed the panoramic view from the observation deck. What a glorious experience it was to enjoy dinner and savour the fantastic view of the surrounding from 223 metres above the ground. Finally, here are some photos that I took of the grand finale of our first day at Macau; the fantastic fireworks display choreographed to beautiful music. I should apologize because my poor photographic skill did not do justice to the Panasonic GF5. 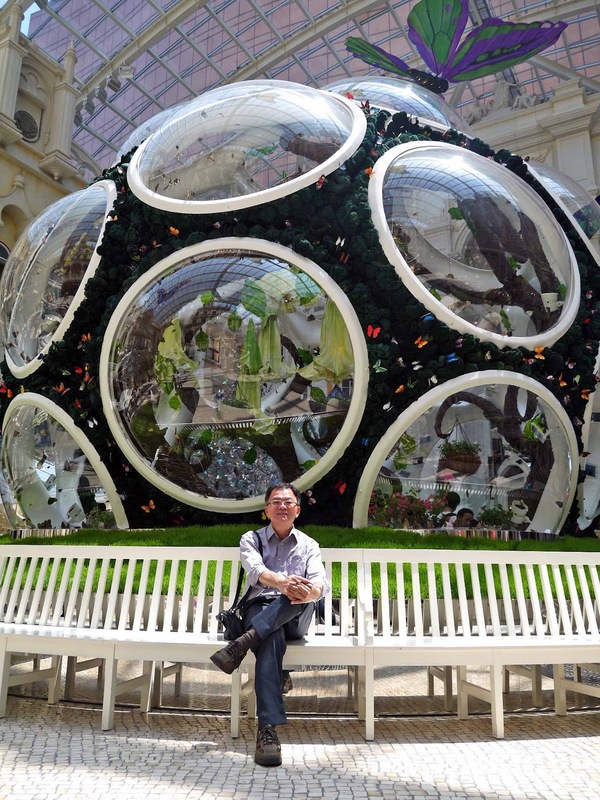 For more stories by my fellow bloggers; check out the Surprising Moments in Macau website. You can view a video clip of the our tour of the Macau Tower and Fireworks display here. Macau …. 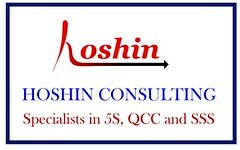 here we come! 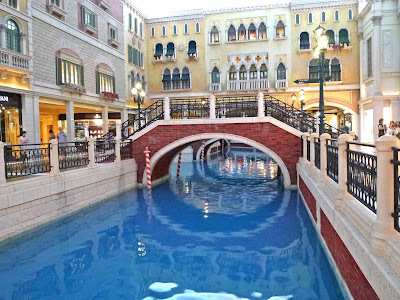 Mention Macau and probably casinos come to your mind, right? 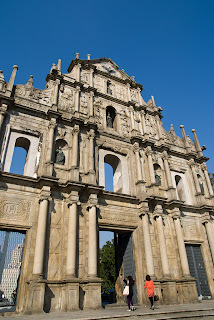 But of course, as one would reasonably expect, there is more to Macau than casinos, or the famous Ruins of St Paul (Image right, courtesy of Flickr.com member armaggsein). Exactly what, I can only report to you next week after I return from a 4-day, 3-night trip this weekend. 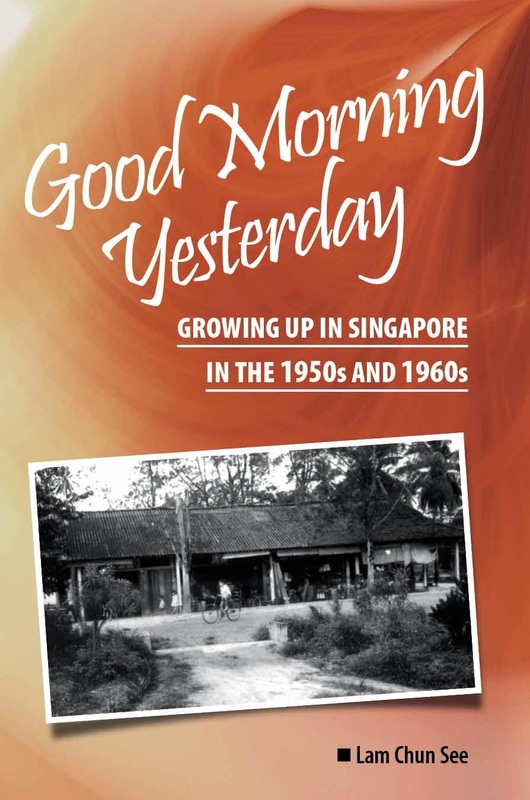 As some of you may recall, I recently took part in the SGBlog Awards Competition organized by omy.sg. 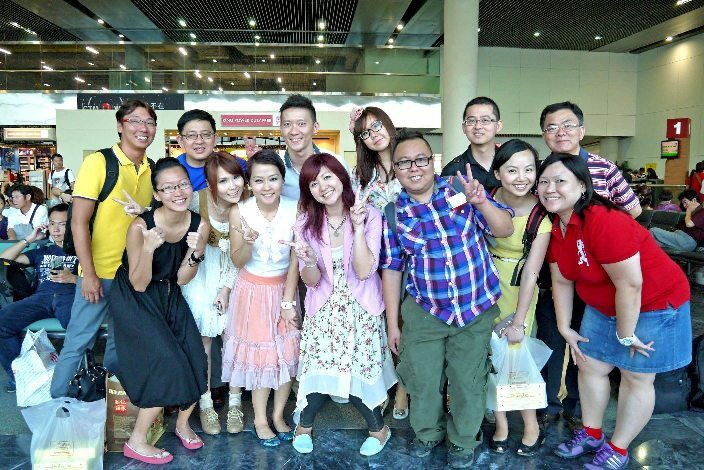 Although I did not come in first in my category, the Best Individual Blog Category, I was nevertheless invited to join 9 other winners for this free trip which is sponsored by the Macau Government Tourist Office and Tiger Airways. This is because the winner in my category is unable to go. Besides the above, we will get to savour some famous Macau cuisine. I look forward to trying the Portuguese dishes and buying my favourite almond biscuits. Actually, this is not my first trip to Macau. In 1997, I did stop over at Macau for one day while enroute to Hong Kong from Zhuhai, China. Don’t remember much about that trip except a visit to a casino (I don’t gamble), the St Paul’s Ruins and a shopping street. 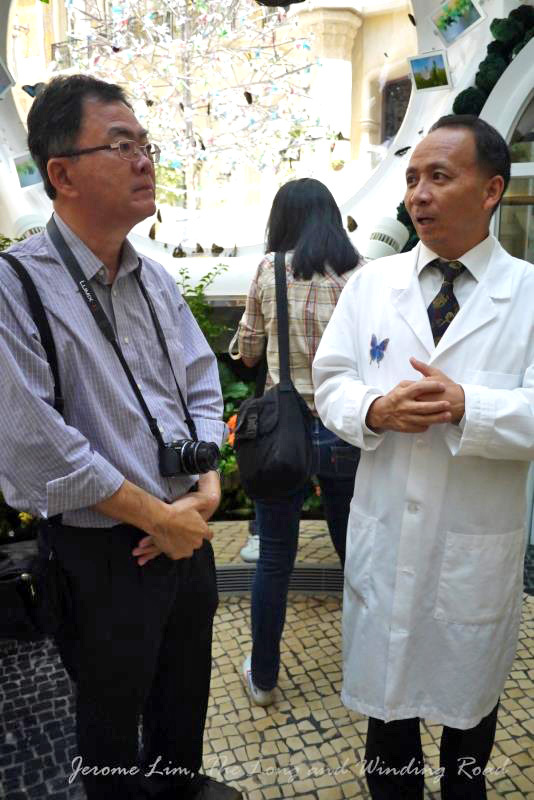 My thanks to the generous sponsorship of the Macau Government Tourist Office and Tiger Airways, who will be treating us to their newly launched new TigerBites menu. You can read the other bloggers’ posts here.